KMS Restorations has proudly served Atlanta and the Greater North Georgia Area for over 30 years. We are are fully insured and take a tremendous amount of pride in customer service. We offer painting and restoration services to the Greater Savannah & surrounding areas. Services include interior & exterior painting, kitchen & bath remodeling, doors/trim, exterior siding, and more! From small repairs to projects requiring building permits, plumbing and electrical service. We provide top quality, turn-key service from top to bottom - inside and out. Aiken County's One Stop Source for All Remodeling & Design Needs! Riley's Carpentry has built a reputation for excellence on a foundation of trust, service, and integrity. We treat every client like they are the one and only, every home as our own. North Florida Tile Setters & Remodeling, LLC has been in business for over 2 decades and we continue to grow every year as our reputation for excellent work at great prices spreads. If you want a home that’s tailored to your needs and sense of style, Falcon Building is the contractor to turn to. By relying on our years of experience, we can help you create your ideal home vision. 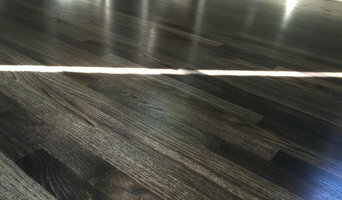 Final Floors offers a range of flooring with the elegant touch. Our team of professional and experienced consultants and contractors will put your mind at ease. For over 15 years, our company has been doing business in Metro Atlanta. We helped create ideal living space to accommodate and enhance our customer’s lifestyles. Whether it’s a chef’s kitchen, a master bedroom suite, a bathroom, or a basement – we can create functional, inviting spaces that meet the needs of your everyday life. We are small company where quality comes first. We’ve been in business for 15 years with many repeat customers; we believe in a job done right the first time. $200 Off Jobs over $5k : Mention Houzz! We are experienced, and install your flooring the right way; based on current industry standards, and manufacturers specific requirements. We are current and always stay on top of design trends. Valet Works Construction is a licensed General Contractor firm that specialized in interior and exterior remodels. 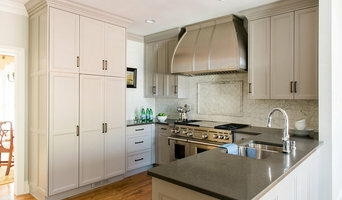 Our specialty is kitchen and bath remodels but we are highly capable in all trades . "Working With Our Vision To Build Your Dreams" Blue Ridge Custom Builders is a locally owned and operated company situated in the heart of North Georgia "Wine Country." We not only specialize in "Custom" homes as our name suggests, but provide a variety of services for our clients. Whether building your "Dream Home" or simply updating an existing home or landscape, we look forward to serving you with the same quality & craftsmanship we provide all our clients, big or small. Over the past 21 years the store has grown to house not just floorcovering but furniture, accessories, fabrics, and rugs. Custom Interiors is now truly a one stop shop for the homeowner or designer. We specialize in interior and exterior renovations, as well as home improvement projects. Each day our team makes the choice to complete superior projects that exceed client expectations. We build custom cabinets, mantles, furniture, molding, coffered ceilings, judges panel and wainscot. With our CNC machine we can carve, drill, cut and shape wood or plastic. 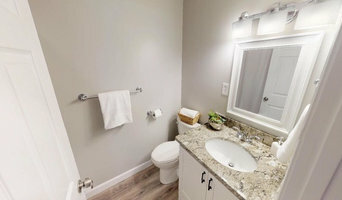 Webber Development and Construction strives to provide turnkey remodeling services, specializing in kitchens and baths, geared towards the specific needs of your family and lifestyle.